In 2014, I visited Tucson for a conference. The hotel was terrific and the food was great. But one evening a friend asked our waiter: Where is the one place in Tucson we HAD to try before leaving town? At first he hesitated and paused to size us up. After all, we were dining at 4-star golf resort. But then, he leaned in closer and said eight magical words: Do you want to know where I go? Yes, of course! He went on to describe a hole-in-the-wall restaurant where he used to work called Bobo’s. He said we HAD to order the apple pancake and later came back with the address written on the back of a postcard. The next morning, we headed to Bobo’s on our way to the airport. And he was right about everything. It was hole-in-the-wall. The place is tiny. The portions are huge. The kitchen is open. And the prices are frozen in time. And the apple pancake is the best pancake on the planet. Admittedly, pictures don’t do it justice. This is the kind of greatness that must be tasted. And our waitress shared their secret, sorta: carmelized apples. She didn’t share how to make them, but showed some of the kitchen battle scars earned from flipping these massive breakfast goodies on the flat top, as the natural sugars splatter everywhere before forming the best carmelized edges you’ll ever taste. 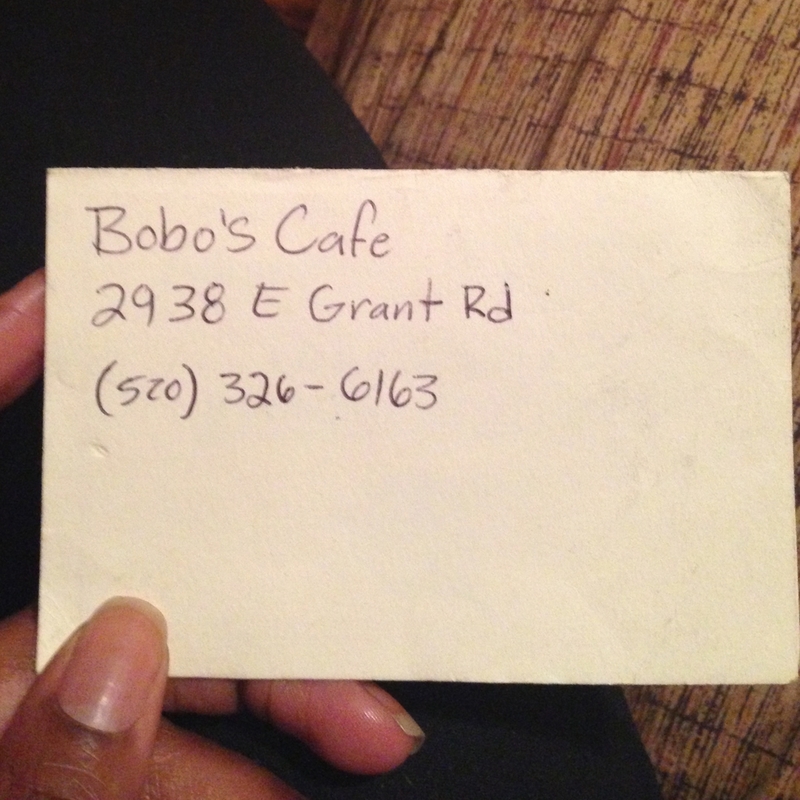 When in Tucson, RUN, don’t walk to Bobo’s. But be prepared to wait. And get there early because it’s open seven days, but closes at 2pm! A must-try, before you die. Follow this sign to your new happy place. This picture is a poor representation of the deliciousness.